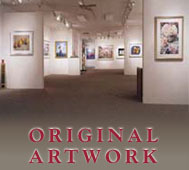 Contact the gallery to receive information about the artwork in which you are interested. We can also estimate the packing and shipping costs to your home or office. We accept checks, Visa, MasterCard, Discover, and American Express.